More fruitfulness in the garden – for the first time, we have our own apples. And the first one tasted rather nice too! 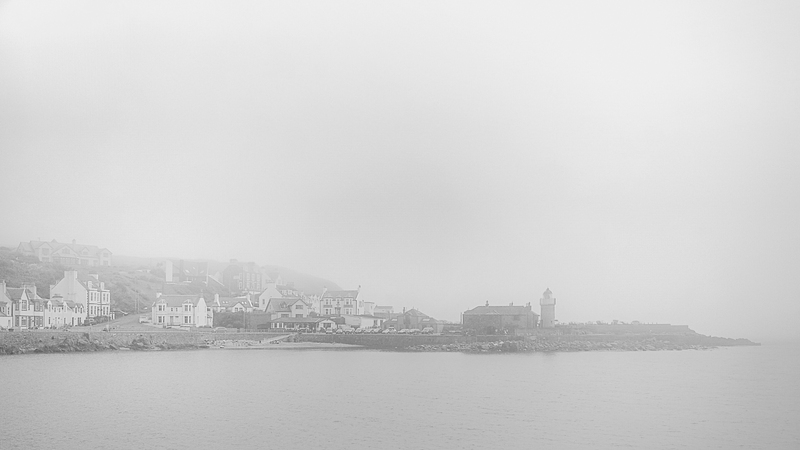 Taken during a lunchtime stroll down to Portpatrick: a moderate haar from the sea, obscuring the village in the distance. It was good to go away for the weekend, and it was good to get back home again too nice sunny views around Portpatrick harbour too. A more formal, laid-out, part of the gardens at Beningbrough – a covered path with several trees, covered in pears. Am exercise in composition, as much as anything – a thick mist reducing visibility to a couple of hundred yards, whilst out with Dog. I still remember the place for being very unwelcoming last September – however at least the building has a rather photogenic profile from the outside.